Mum of six and enjoying life! A Baby, A Lamb and a Calf! Dare I open the prosecco? How was your school run this morning? Saint Nick popped in for a cuppa! It was a very proud day for me today. It was a moment, as a mum, and a lover of roller-coasters and fast rides, I have been waiting for for nine years. 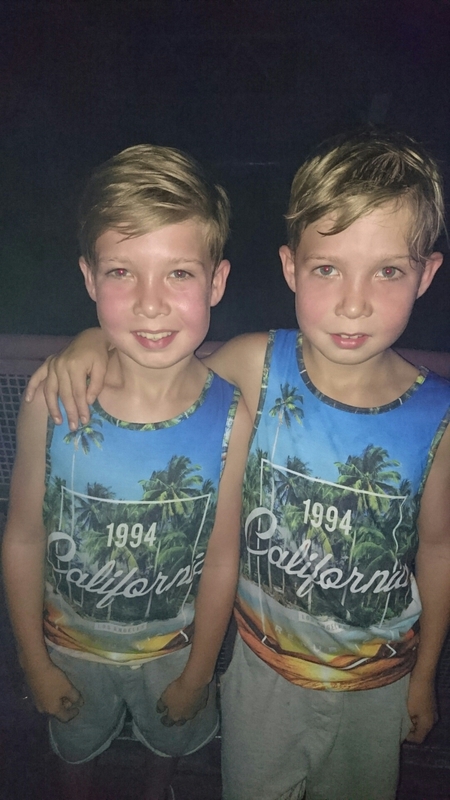 Today, my twin sons lost their roller-coaster virginity! We have spent the day at Islands of Adventure, the partner the partner theme park of Universal Studios, Orlando. It’s much more geared for children and thrill seekers than Universal. Once I had sussed out that they are finally taller than the height restriction my mission started. I started them off tamely on a Harry Potter simulated ride. We then moved from their onto a small outside roller coaster train, which they were really scared about at first but absolutely loved. Then, they were ready for it…. Well, I thought they were ready for it. During the ride i looked at them both and they were so scared they were trying to cry but the force of the ride was so fierce that they couldnt. When we got off Mikey told me the next thing he wanted to do at the park was punch me in the face for taking them on it. I was then told I was the worst mum…. Again! Five minutes later, we asked what their favourite part of the day had been and they both said The Mummy – The big roller-coaster that they had just been moaning at me for taking them on. F#@k knows what these two are going to be like when they are moany, hormonal teenagers. Can it really be worse than the basket cases I’m dealing with now? Whatever, I gave myself a mental hi-five, Future theme park visits are going to be so much more fun now!